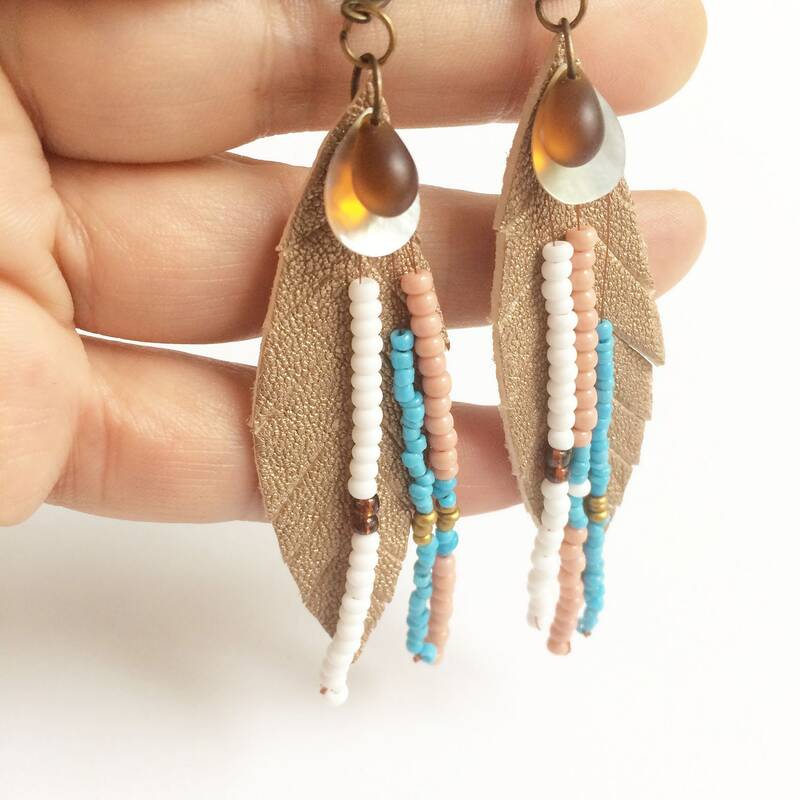 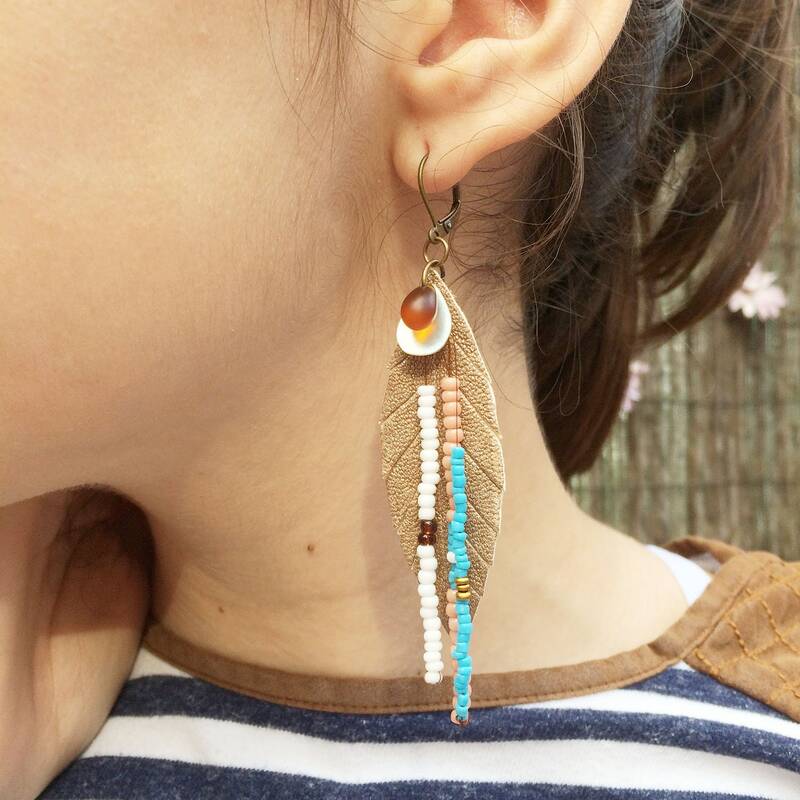 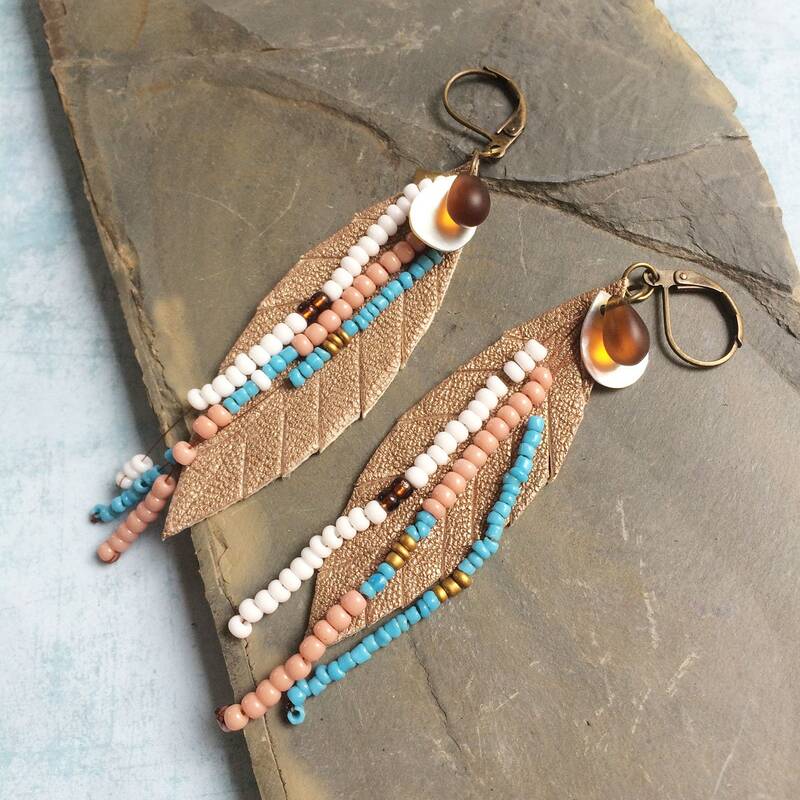 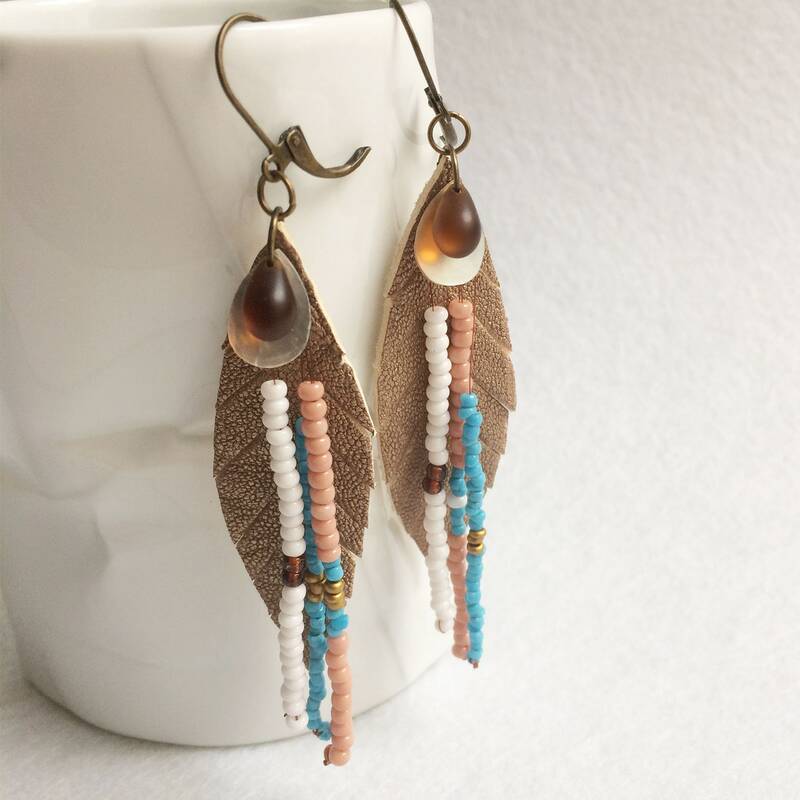 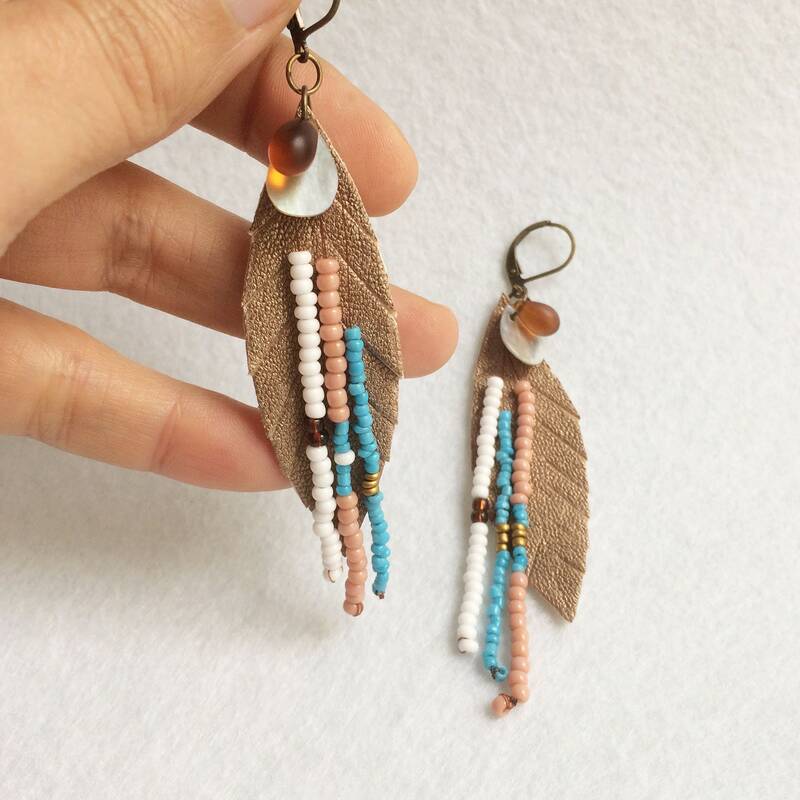 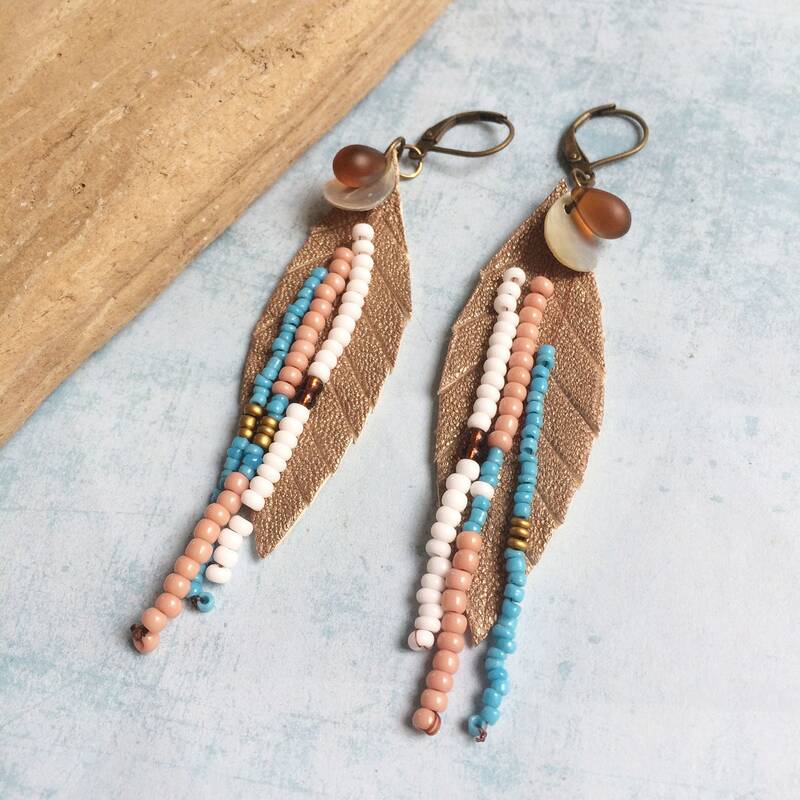 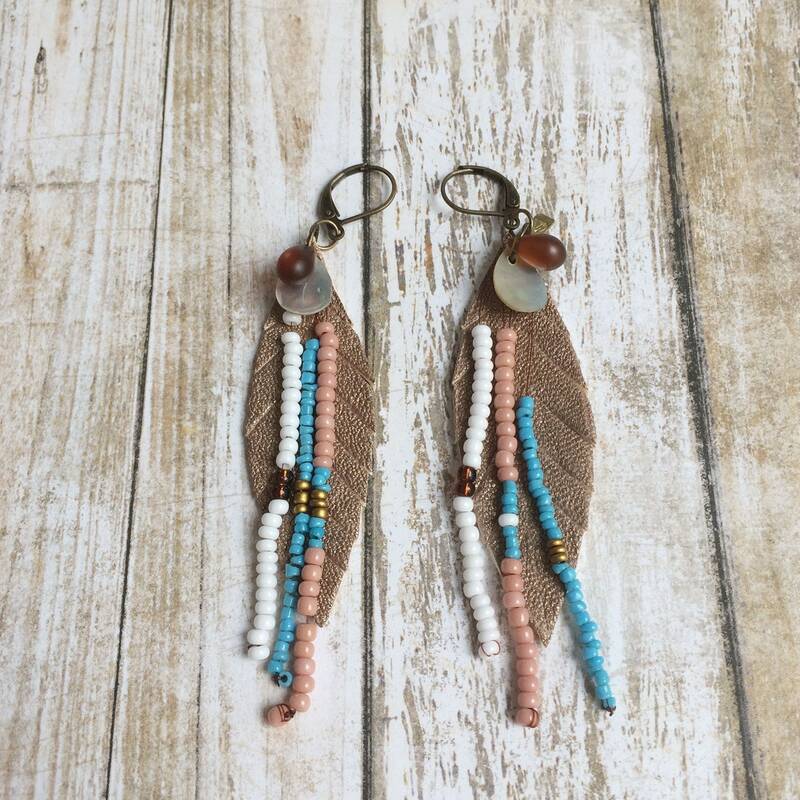 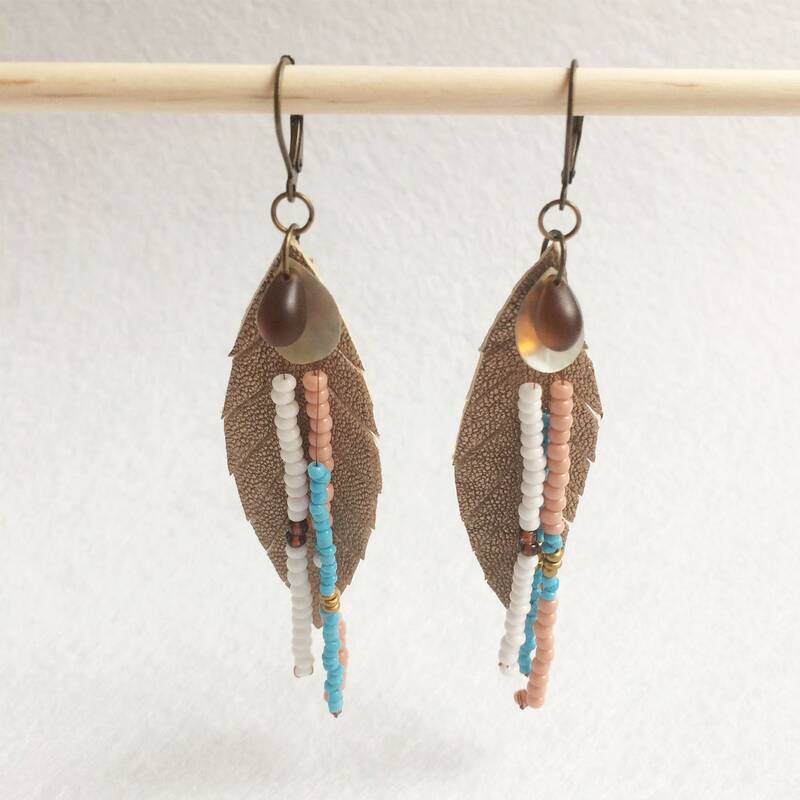 Seed beads fringe and mother-of-pearl drop shape. 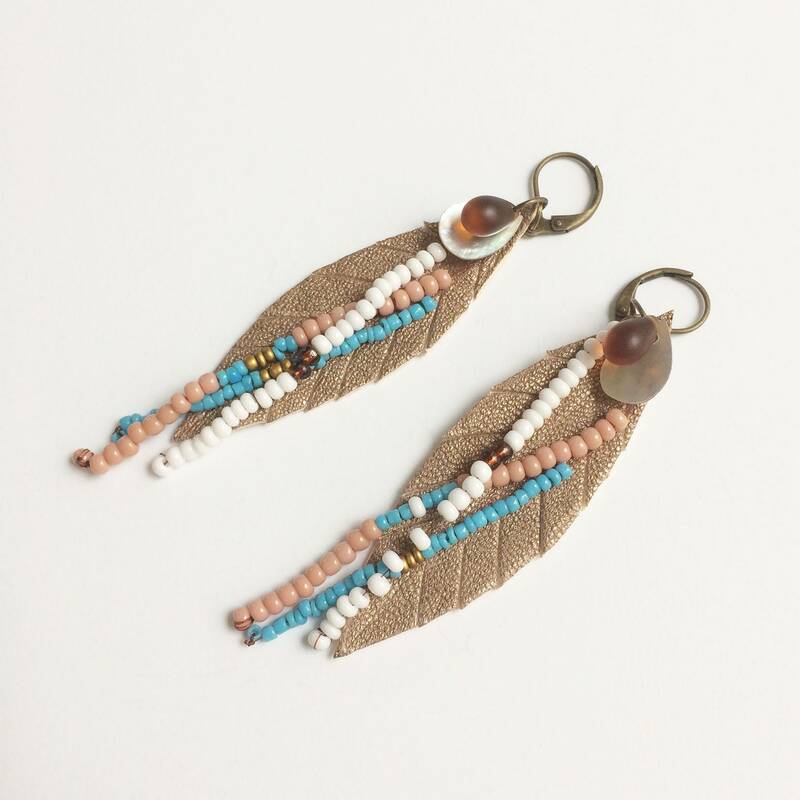 Brass, leather, seed beads and mother of pearl. 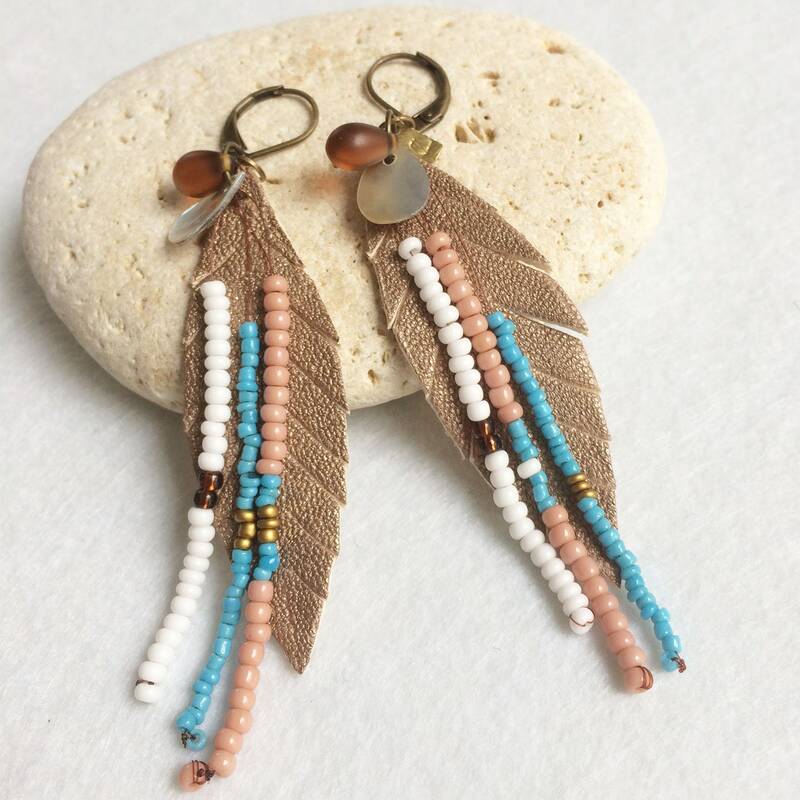 Golden, white, brown, turquoise and pink.